With learning to eat comes mealtime challenges. Eating is such a complex task that it takes at least 2-3 years for little kids to learn how to do. As adults we often take it for granted so when your baby, toddler or child spits, throws or refuses a food we can take it personally and see it as ‘bad behaviour’ but sometimes it’s not that at all. It’s very common, particularly as we start to introduce finger foods to find your child engaging in these behaviours. 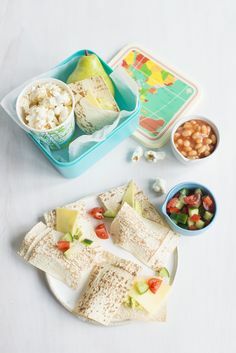 BUT, understanding The Steps to Eating as a way in which your child learns about exploring, engaging and eating new foods will help you to see these ‘challenges’ from a new perspective and also make it easier to transform the mealtime challenges to more positive eating behaviours. Eating has been described as the most complex physical task humans do. While many of us take the ability to eat for granted, this action involves all the body’s organ systems as well as all the sensory systems. Understanding this can be extremely helpful when you begin the journey of starting solids with your baby or are trying to resolve fussy eating behaviours with a toddler or older child. Fussy eating can be very stressful to the parents as well as the child, particularly if it is affecting their growth and development or their behaviour. So, whether it’s just one or two foods, a whole food group or a particular type of texture a child is fussy with e.g. 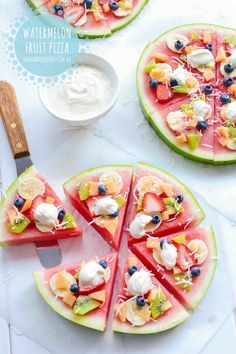 wet, slippery foods or hard to chew meats, understanding that there are many steps to eating will help you to see it a little more from your child’s perspective, give you some new direction on helping your child to accept and enjoy new and previously refused foods and allow both you and your child to feel a little more relaxed at meal times. Did you know there are 6 steps to eating? Each of these steps can be broken down into smaller steps so in total there can be up to 25-32 steps that each child needs to feel comfortable with for each individual food or meal before they will actually eat and swallow it. It’s all part of learning how to eat. e.g. to be able to be in the same room as the food, be able to see it on their plate or even someone else’s. e.g. helps with preparation, uses utensils to stir or pick up food. e.g. able to tolerate smell of the food in the room, leans down to smell the food or picks up the food to smell it. e.g. with fingers, using their whole hand, up to their head/face, to their lips or teeth and tongue. e.g. licks food, bites a piece and spits out immediately or after a few chews. e.g chews and partially swallows, chews and swallows with a drink or independently. Parents often equate successful eating and fussy eating progress with their child actually eating the food. Many children naturally progress through the steps with little thought or intervention from parents. However, if your child goes through phases of fussy eating or has selective eating habits it can be helpful to understand the steps to eating. You may notice some children accept new foods easily and will put it in their mouth to eat straight away while other children will take much longer and need to be offered the food on many different occasions before they will touch it or smell it, let alone put it in their mouth. It will also vary within the same child depending on the type of food being offered. Acknowledging that progress might be your child being able to tolerate a particular food being on their plate without crying is a huge step. For another child who regularly pushes vegetables around with their fork, actually smelling, touching or licking the food is big progress. It may be 2 or 3 more times or it may be 20 more exposures to the food before they eat it but regular presentation of a variety of foods, both ones they will accept and ones they refuse, is important in moving up the steps toward eating. It allows the parent to show encouragement to their child giving them positive reinforcement, increasing the likelihood of moving further up the steps next time they are presented with that particular food. Eat with your children and demonstrate positive eating behaviours. 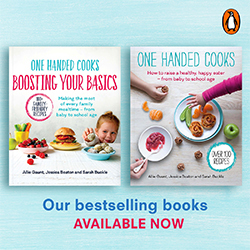 Self-titled cookbook, One Handed cooks; how to raise a healthy, happy eater from baby to school age, published by Penguin Random House is full of new recipes and valuable feeding tips. It’s a must-have for any parent starting their solids journey with their baby and is timeless addition to your cookbook collection. You can purchase it here. 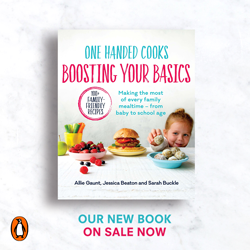 Our new book, Boosting Your Basics; Making the most of every mealtime from baby to school age, is available now. 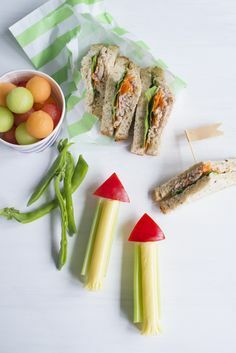 Whether it’s breakfast, lunch or dinner – or maybe the much-loved snacks and sweets in between – every mealtime is an opportunity to introduce children to the joy of eating, help them discover new tastes and textures, and boost their nutritional intake. Find out more here. Baby Foodie, Finger Foodie and Family Foodie take you and your baby from first tastes to age-appropriate finger foods looking at baby-led weaning and adapting family meals to suit your baby’s preferred style of feeding. Each has over 50 dietitian approved recipes, nutrition notes and fussy eating tips to help guide you along the way. Purchase the ebooks here.